Soon after Congress president Rahul Gandhi and party general secretary Priyanka Gandhi completed a roadshow in Lucknow on Monday, Uttar Pradesh unit of the BJP convened a core group meeting at the party’s state headquarters to discuss the changed scenario after the SP-BSP alliance and Priyanka’s entry in active politics. 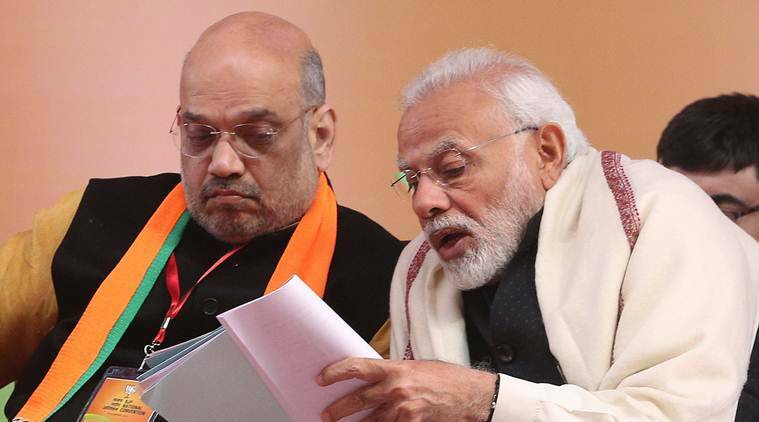 The party, sources said, is set to intensify its campaign in UP with a series of programmes involving Prime Minister Narendra Modi and BJP chief Amit Shah. Sources said Modi will visit Jhansi on February 15 to lay foundation stones for several projects, including the proposed defence manufacturing corridor, and is scheduled to address a public meeting there. Modi will be in his Lok Sabha constituency, Varanasi, on February 19 to inaugurate infrastructure projects, including a cancer hospital. A BJP leader said the PM will address a public meeting in Varanasi’s Rohania Assembly segment. On February 24, Modi is scheduled to address the concluding session of the national convention of BJP Kisan Morcha in Gorakhpur, the constituency the party lost to SP-BSP combine in last year’s by-elections. Shah will inaugurate the convention on February 23. Shah is slated to visit Kumbh Mela in Prayagraj on February 13, where he is likely to meet saints of different akharas and interact with local BJP leaders. “Shah is likely to visit eastern UP on February 26 to address party workers; the venue will be either Ghazipur or Ballia,” a BJP leader said.